The Dachshund is a short-legged, long-bodied dog belonging to the hound family. His cute appearance and lively disposition have inspired many affectionate nicknames for the breed, including wiener dog, sausage dog, doxie, dashie etc. Dachshunds are intelligent, loving and extremely loyal to their families, but they are not for everyone! First known as the Teckel in his home country of Germany, the Dachshund has been around in one form or another for at least 500 years. The Dachshund’s distinctive long, low shape is due to being purpose-bred to tear down burrows after badgers, rabbits and foxes in its country of origin, Germany. 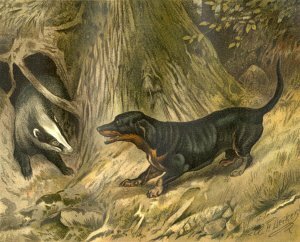 Dachs is the German word for badger, and Hund means dog. In the 1800s, Dachshunds started being bred more as pets than as hunters, especially in Great Britain. They were favourites in royal courts all over Europe, including that of Queen Victoria, who was especially fond of the breed. Due to this trend, their size was gradually reduced by about 10 pounds. 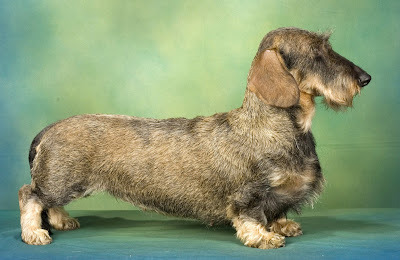 Eventually, an even smaller version - the Miniature Dachshund - was bred to hunt smaller game like rabbit. There are two sizes: the Standard, which is 25-28cm (10-11″) and the Miniature which is 20cm (8″). Their lungs are large for a dog this size and they have a barrel-like chest. The Dachshund's unusually large and paddle-shaped paws were perfect for efficient digging. There are three coat varieties: the smooth, the long, and the wire, which when combined with the two sizes accommodates the six different types. There is a wide range of colours available in either solids, or lesser-known dapples (also called merles). Weight: 9 kg-12 kg. For a Miniature, the ideal weight is 4.5kg (10 lbs). 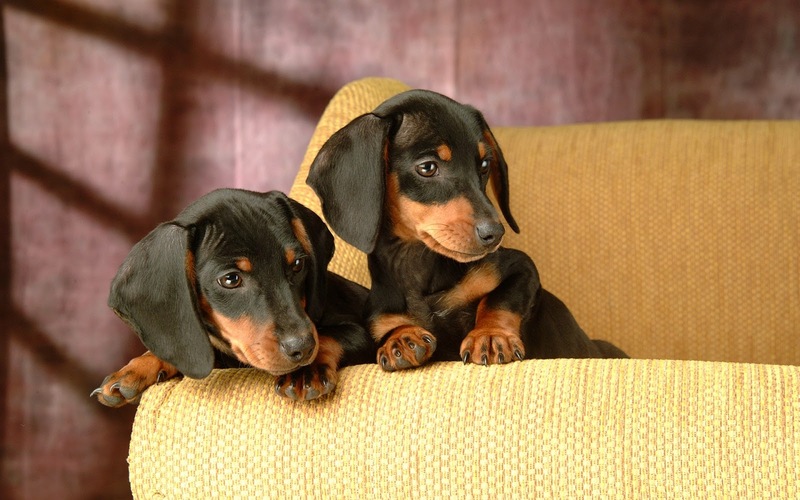 Dachshunds are extremely sociable dogs and are not suitable for being left alone all day. They want to be with you and your family as much as possible and also like to be on your lap or having cuddles on the couch, so if you want a dog for the backyard a Dachshund is not for you. They are just as happy playing and being taken for a walk or car ride, which they love, as they are cuddled up to you on the sofa. Some Dachshunds have been described by their owners as couch potatoes, but it is important that they are exercised regularly to keep their weight down and also to prevent boredom and destructiveness. Dachshunds have a mind of their own, can be stubborn, obstinate, have selective hearing and if you let them, they will rule the household. They are not hard to housetrain with the right training, but it can be said that this breed doesn’t enjoy getting wet, and there is certainly a consensus of opinion that when it rains they will not willingly go out in the garden to answer calls of nature! Dachshunds will bark and are territorial. If a stranger comes to the door they’ll bark, if the doorbell rings they’ll bark, if they can see someone walking past their house, they’ll bark, a bird flying into the garden, they’ll bark. Whatever they can see belongs to them. Not all Dachshunds display this behaviour but you need to be aware of it. Dachshunds were originally bred to hunt badgers and some of them can have high prey drives, meaning the chooks will not be safe! You may think your Dachshund has excellent recall off leash but if they see something interesting they will be off in a second following their instincts and will not come back until they’re ready. This often leads to tragic consequences. 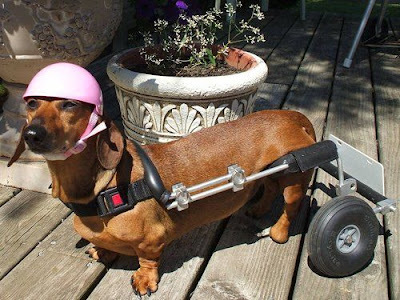 Dachshunds are better off being walked on the leash, especially in areas where there are cars as they do not have any road sense. Not all Dachshunds like big dogs and they have no idea of their size in relation to other dogs. They will happily take on a bigger dog to protect you or their territory, sometimes with tragic consequences. 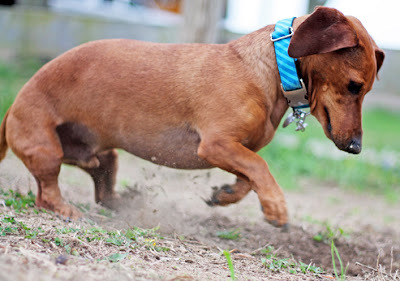 A Dachshund's hunting instinct should be strongly encouraged through Field Trials, Earthdog events, and Tracking. Dachshunds also excel in Agility, Rally, and Obedience as well. Dachshunds are not a pushover but they believe you are! They need firm, consistent training from an early age but they respond well to rewards for good behaviour. A daily walk for 30 minutes is ideal, and quite important for dogs which otherwise live indoors permanently. 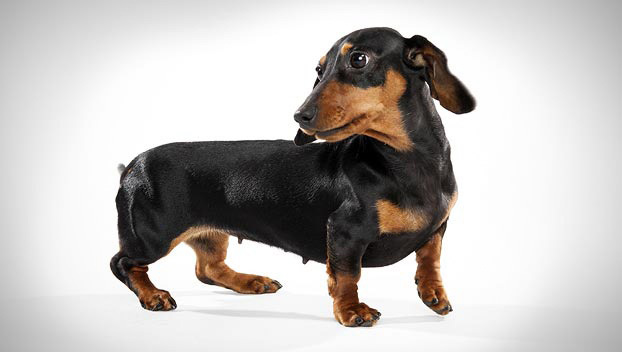 The extreme short legs of the Dachshund are caused by a dominant gene which produces a condition known as Chondrodysplasia; this is where the cartilage of the growth plates grows at a slow rate and can weaken the backbone. This means the long spine might be vulnerable to back problems especially if the dog is obese, frequently uses stairs or is allowed to jump down from chairs or lounges. Intervertebral disk disease is a major clinical problem in the breed. However, by recognising the causes and consequences of the problem, owners may prevent a great deal of difficulties by restricting the amount of excessive jumping and managing the weight of their dogs. Progressive Retinal Atrophy (PRA) is a term for retinal degenerations occurring in many breeds of dogs. The disease results in a degeneration of the light-sensitive membrane at the back of the eye – the retina – resulting in loss of vision, and often leading to blindness. 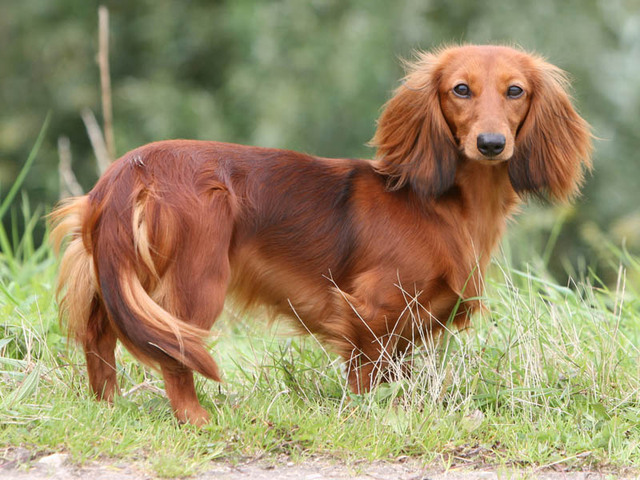 PRA has been diagnosed in all varieties of Dachshunds but there has been a predominant incidence in the mini long-haired variety. Dachshunds are a low-maintenance breed. They shed, but not excessively. Smooths can be wiped with a damp cloth between baths to keep them clean. If you live in a location that is cold in the winter, your Smooth Dachshund may need a sweater when he goes outside. Wirehaired Dachshunds require regular brushing, and they'll need to have their coats "stripped" two to three times a year to look their best. Longhaired Dachshunds should be brushed regularly to remove knots and burrs and prevent mats from forming. They need to be bathed more often than the Smooth Dachshund, and you must blow-dry them afterward for their coat to look good. Special attention should be given to the areas under the ears and between the pads of the feet. The small, neat size of the Dachshund makes him an ideal housedog. The breed is frequently chosen by older people looking for a companion as well as a reliable watchdog. 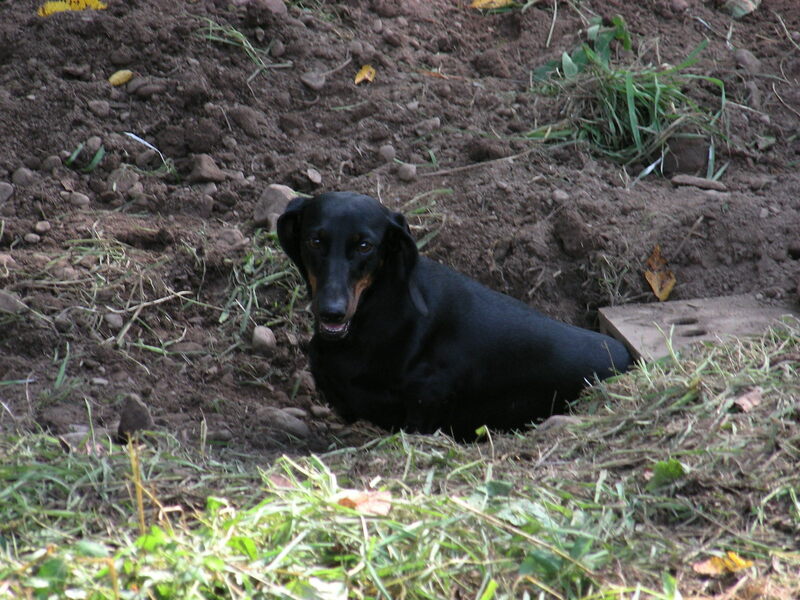 A Dachshund can be suitable for families with young children, but they are small dogs and children should be taught how to behave around them. Dachshunds are often acquired without any clear understanding of what goes into owning one, and these dogs often end up in the care of rescue groups, in need of adoption or fostering. If you're interested in adopting an Dachshund, a rescue group is a good place to start.